Ascending Butterfly: Not So Wordless Wednesday! 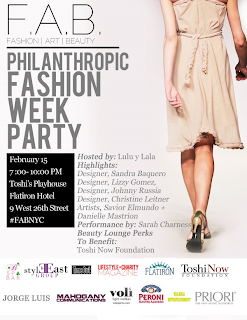 + #NYFW + Let's Throw in Some Philanthropy Too Just for Fun! Not So Wordless Wednesday! + #NYFW + Let's Throw in Some Philanthropy Too Just for Fun! Remember where I was last year around this time? (A little HINT) Today I am off to the EMU Australia Fall 2012 Fashion Show and I couldn't be more excited, it was one of my favorite shows last year, and I'm sure this year will be no different. I will definitely take pictures and post a recap as soon as I can. And later in the evening I will be attending an event where Fashion and Philanthropy meet, you know just how much Ascending Butterfly supports giving back and the organizations and brands that do so! 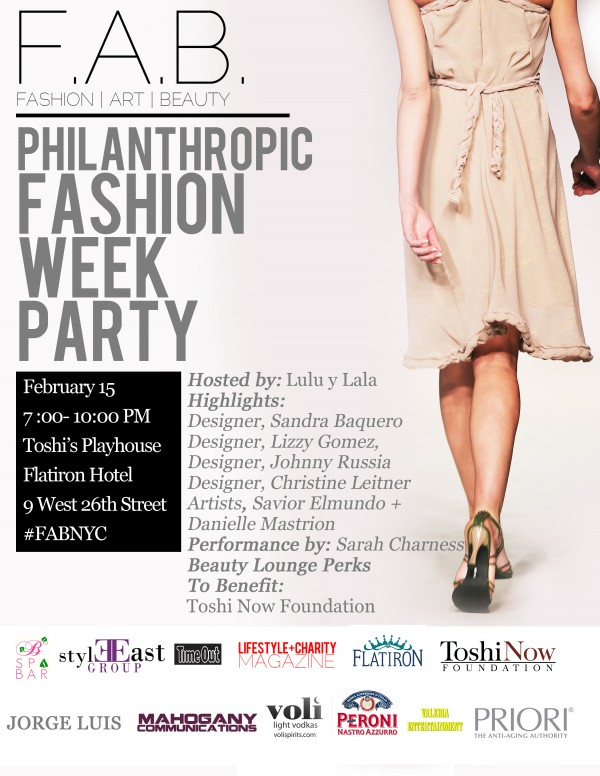 Want to attend a swanky event at the Flatiron Hotel in NYC and support a good cause? $40 buys you admission to the F.A.B. (Fashion|Art|Beauty) semi annual event that will be raising money for the Toshi Now Foundation, which provides arts and entertainment scholarships to kids. Get your makeup done, have your hair styled, relax with a massage or bronze up with a spray tan with one of the beauty lounges in attendance. 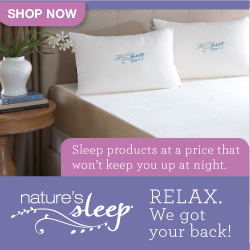 A whole lot of something FAB for YOU and a way to give back too! Great way to wind down from Fashion Week Insanity! Nab a ticket while there is still time HERE. FTC Disclosure: Ascending Butterfly has been provided with passes to both events as a member of the digital press, no additional compensation has been received in exchange for this post. And how are you feeling??? NY Fashion week was it's normal mix of exhausting excitement, but I'm a bit winded, I may have been pushing myself a little too much these past 2 weeks.